Class: Kokedama: Hanging Garden Workshop. Photo by Krissie Nagy. 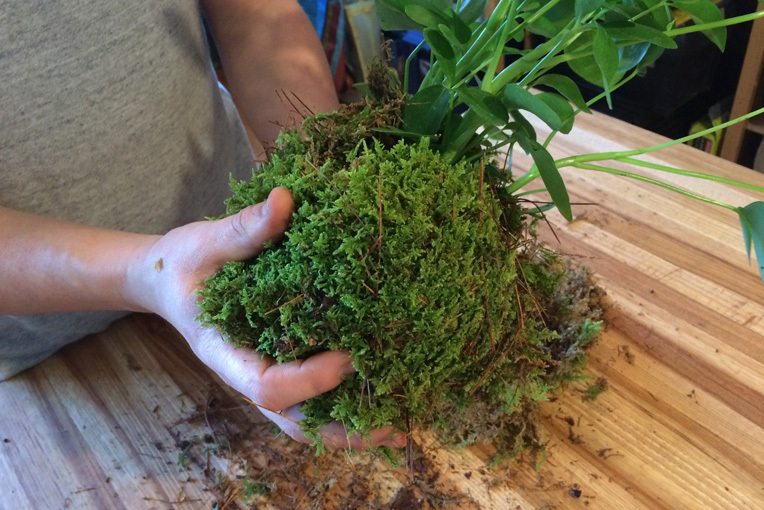 Get your hands dirty in this workshop as you learn the art of kokedama, the cultivation of a plant encased in a ball of moss. After a brief discussion on the history of kokedama and a hands-on demo by the instructor, you will pick a houseplant to repot in a moss ball and spend the rest of the workshop perfecting your craft. Everyone will make two new easy-care kokedama to take home. Please bring this confirmation for Garden admission. The Security Guard in the lobby of the Administration Bldg. at 1000 Washington Avenue will direct you to your classroom.